Mount Fuji is known as Fujisan in Japan; Fuji is the name and San means mountain in Japanese. Fujisan is with 3776 meters Japan’s highest mountain, and it is not surprising that the nearly perfectly shaped volcano has been worshiped as a sacred mountain and experienced big popularity among artists and common people throughout the centuries. The favorite location for Fujisan sightseeing is in Kawaguchiko, and in order to reach here, you have to change trains and buses a few times, if you are JR PASS Holder, then you could use your pass for free only until Otsuki Station. After that, you will need to get off the train and change to Fujikyu Railway Fujisan, the train looks exactly like the picture below. You will need to pay ¥1140 for one way ticket to get on Fujikyu Railway Fujisan. Fujikyu Railway will take you all the way up to Kawaguchiko Station. While on your way up, you will see the rural side of Japan. I personally enjoy the ride very much, the clean air and the green view were something that I could not see everyday in Jakarta, especially the sound of train passing smoothly on the rail, it brings me peace and calm. 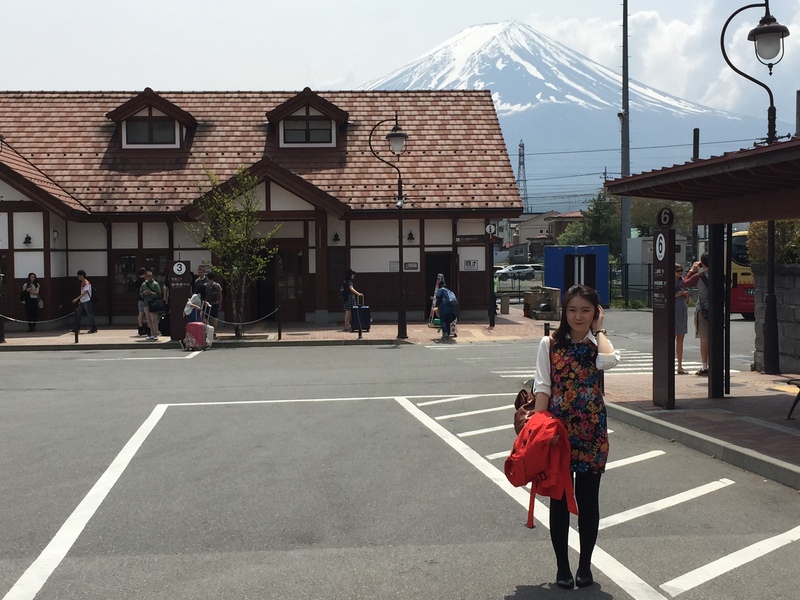 After you reach Kawaguchiko Station, you will need to take a bus to reach Mount Fuji Level 5. You can click here for a direct link to Fujisan Timetable. Every year around April or May, a time limited festive would be held, and it is called the Fuji Shibazakura Festive. 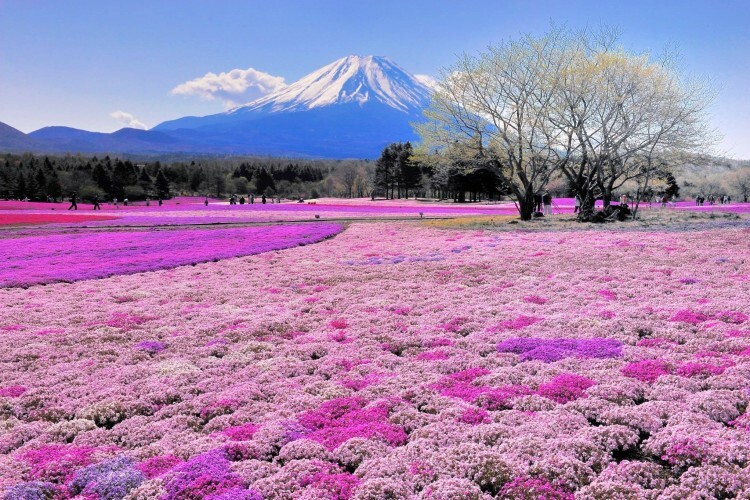 Shibazakura is known as moss phlox, and it blooms in an expansive site at the base of Mount Fuji, located in Fuji Five Lakes precisely. If you want to visit here, you could take the bus from Kawaguchiko Station, but the bus to Fujisan differs from bus to Level 5 Fujisan, so I suggest you to visit the website for Fuji Shibazakura bus schedule. 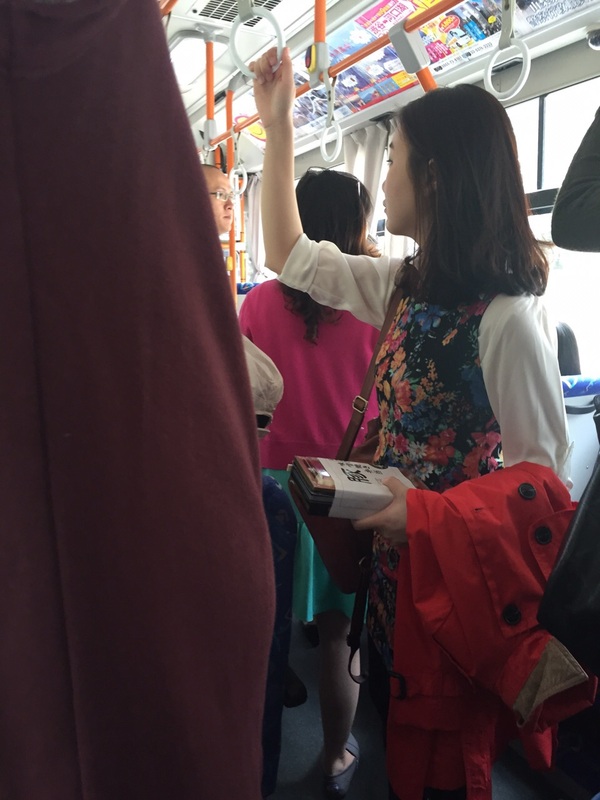 The bus and admission fare are ¥1,900 per person, it includes a round trip bus fare. We both missed the Mankai or full bloom of cherry blossoms season, but we both were able to experience this Fuji Shibazakura Festive. There is always cause and effect, and although you lost the first one, but gained the second one instead. 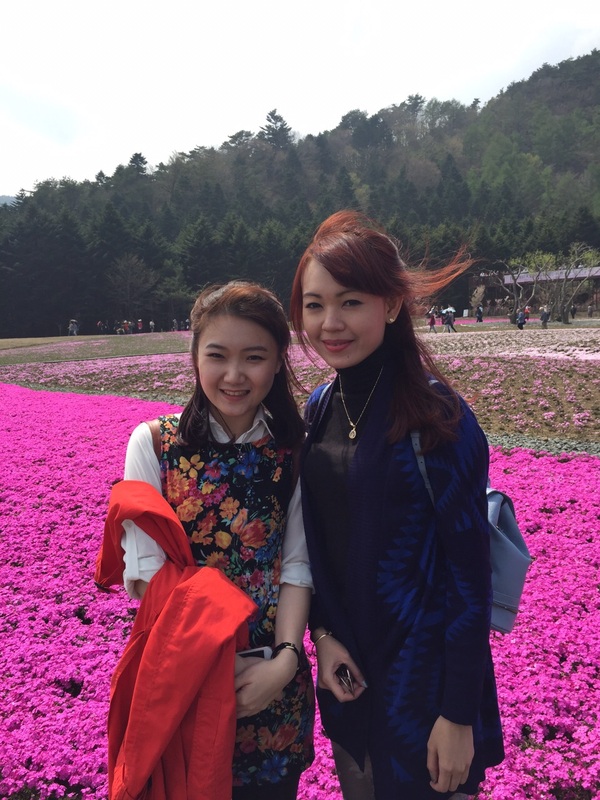 These laugh and joy were there in Spring, April 2015, Fujisan, Japan.